A drunk driver with “glazed eyes” has been spared jail after travelling in the wrong direction down a one-way street. Wigan magistrates heard police on patrol spotted 26-year-old Ryan Wade driving a Renault Clio on Riverway at 9am on Sunday August 5. The car had stopped at red traffic lights and was indicating to turn onto Darlington Street, despite the no entry sign. Prosecuting, Katie Beattie said the car made the turn once the lights had changed. The police sounded their horn to get his attention and followed him. Wade drove onto Harrogate Street - again going the wrong way - before stopping in its car park. Ms Beattie said the officers noticed two passengers in the vehicle and saw the driver move onto the lap of the front-seat passenger. A roadside breath test showed Wade had 92 microgrammes of alcohol in 100mls of breath, more than double the legal limit of 35 microgrammes. But he refused to provide further samples of breath at the police station. 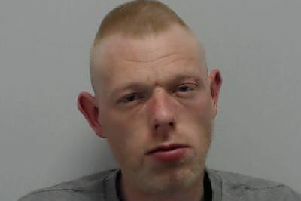 Wade, of Hampton Place, Marsh Green, pleaded guilty to failing to provide a specimen for analysis, driving without insurance and a licence and driving without due care and attention. A probation officer told the court Wade said he went out with friends the night before and was persuaded to drive the next morning. He claimed he did not know Wigan well and took a wrong turn. Wade admitted he was too drunk to drive and had been drinking too much as he was struggling to cope since the death of his son at birth in March, the officer said. Justices handed down a 12-week prison sentence, suspended for 12 months. They also imposed a community order with an alcohol treatment requirement for six months, five rehabilitation activity days and a six-week curfew from 7pm to 5am. Wade was disqualified from driving for four years and must pay £85 towards prosecution costs and an £85 victim surcharge.